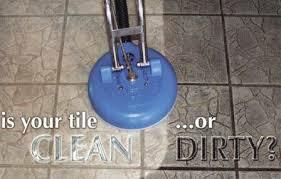 Microscopic pores allow dirt and other contaminates to become trapped in the tile and especially the grout lines. The dirt and soil continue to build up inside the porous surface, leaving the tile and grout looking dark, dirty, and discolored. Mopping the floor will not remove this soil, even hand scrubbing with harsh cleaners is ineffective, not to mention time consuming and extremely labor intensive. Carpet Cleaning Davenport removes years of stains and dirt from grout by meticulously scrubbing and deep steam cleaning each and every tile and grout joint with our special, heavy-duty, high-alkaline grout cleaner, which is formulated to remove embedded dirt, sand, bacteria, allergens, grease, and soil. Although we recommend professional tile and grout cleaning services on a regular basis to maintain the tile and grout for the best results, even the oldest and dirtiest grout can be restored with a professional cleaning. Pre-treatment of tile and each individual grout line with a Restoration cleaning agent to break up dirt, grime, grease, and soil. Gentle scrubbing of tile and grout. Microban sanitizer to help eliminate germs, dust mites, and allergens. 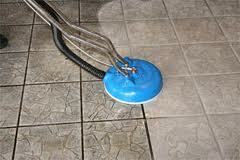 Deep 240 degree steam cleaning with rotary tile and grout floor steamer, with up to 1,000 psi capability. Clear water rinse, and full extraction to bring the tile and grout floors back to new condition. 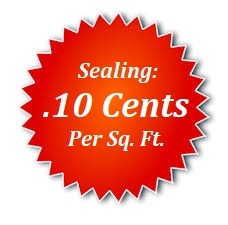 Add Sealing to lock in the clean!